iPad is a good displayer for you to enjoy all your photos. However, sometimes we don’t have enough storage in our iPad to store all our photos. 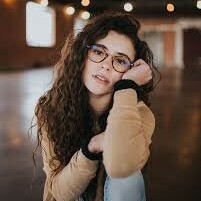 In order to solve this problem, we might need some SD cards with large storage which are good choices to store your photos as many as you like without worrying about using up its space. However, iPad does not allow a SD card to insert in it directly. Thus, we cannot just transfer photos from iPad to SD card directly. So how can we export photos from iPad to SD card？Here are three good solutions. The first solution on transferring pictures from iPad to SD card is using iCloud. 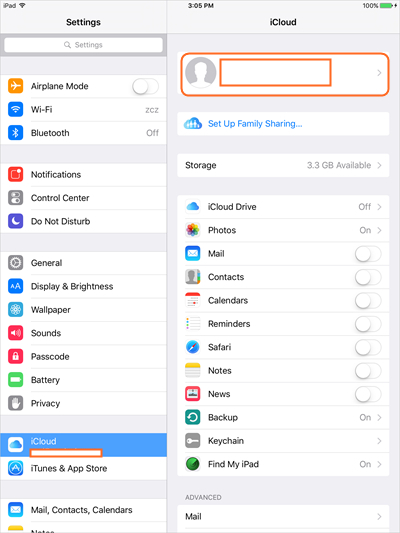 You can transfer all your photos on iPad to your iCloud and then copy them from the iCloud to the SD card. The following part is the steps of how to transfer photos from iPad to SD card. But please remember that your iPad can only automatically upload your photos to iCloud under Wifi. Tap “Settings” on your iPad and launch “iCloud”, and then log in with your Apple ID. 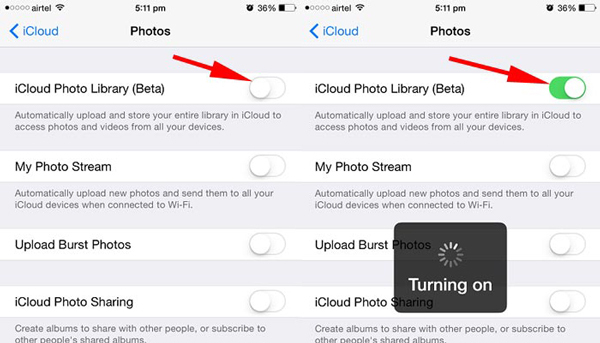 Click “Photos”, and then turn on “iCloud Photos Library” in the next page. 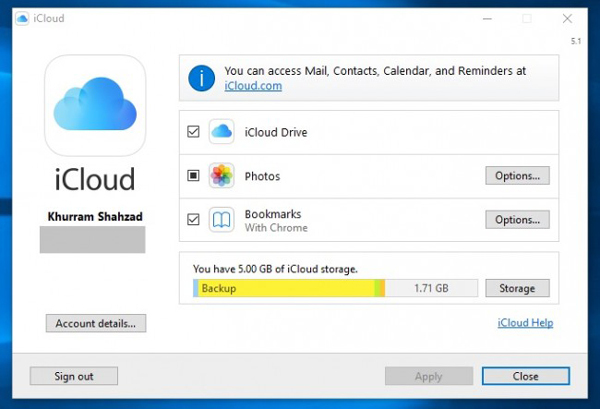 Now, all of your photos can be backed up in iCloud. 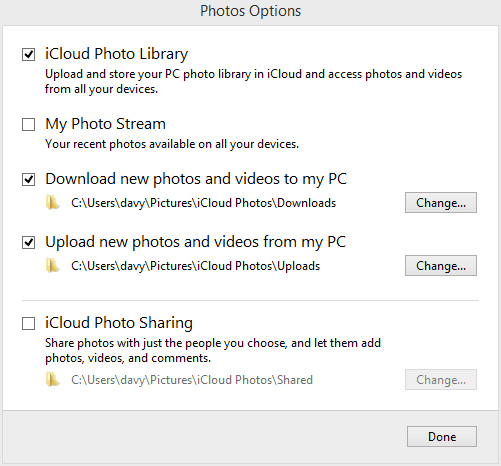 Now launch iCloud on your computer and log in it, and then click “Photos” and enter the “Options” to choose the output source. Click “Change” to choose the output source and then download your photos from iCloud to your computer. 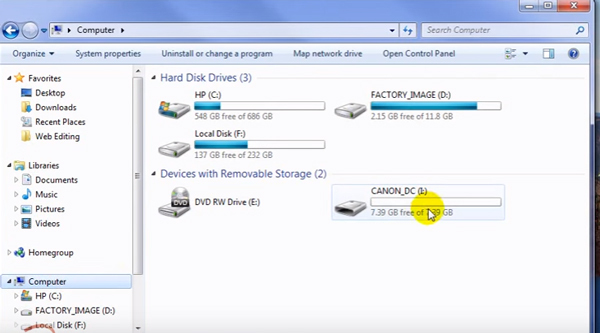 Connect your computer to your SD card with the SD card reader, and copy and paste the photos downloaded from iPad to your SD card. 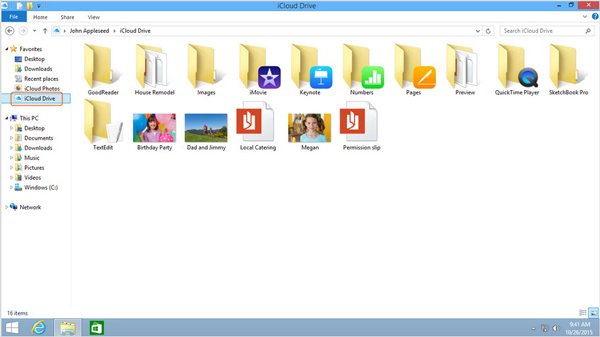 Another way to transfer photos from iPad to SD card is using Windows Explorer. You need to transfer your photos on iPad to computer and then transfer them from computer to SD card. Here are the steps in detail. Connect your iPad with computer via USB cables and open the “Computer”. Double click on your iPad icon in the portable devices to open it. 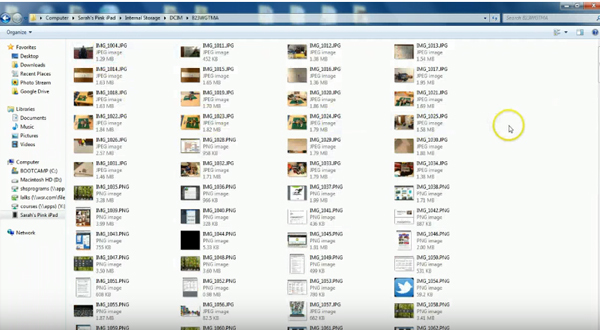 Search in your iPad and find the pictures you want to import and then save them in a specific folder on your computer. 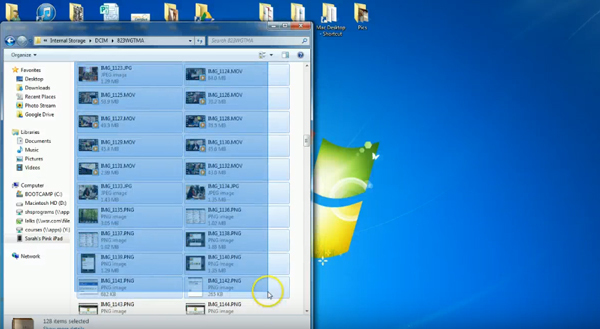 Choose the photos and then copy and paste to the specific folder in your computer. Insert your SD card to your computer and then copy and paste the photos from your iPad to SD card. In the last part of this guidance, we are going to introduce another approach of how to export photos from iPad to SD card. 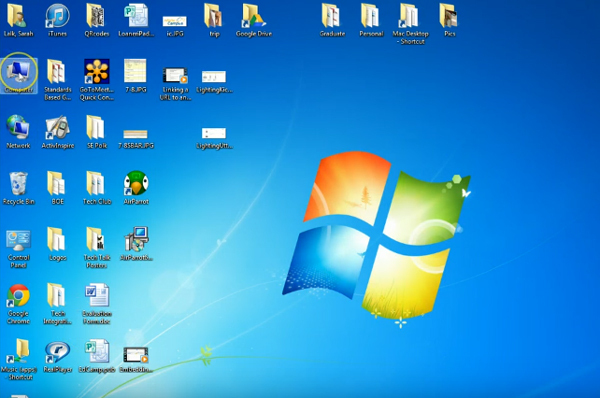 In this approach, you are going to use the software called Leawo iTransfer, the powerful transfer software which can be easily used in your computer. It is able to transfer all kinds of files such as picture, documents, apps, movies, TV shows, music, baritones, books, and Camera Roll files among IOS devices, iTunes and PCs. 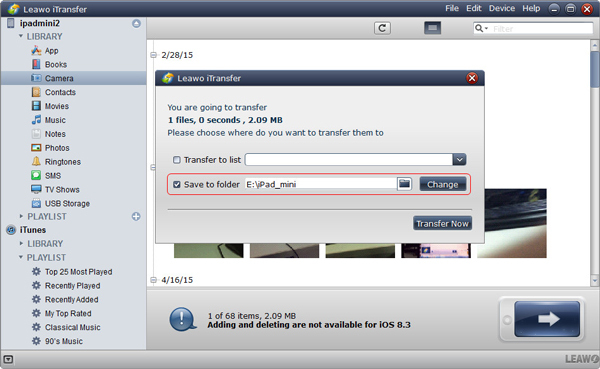 With this convenient software, you can transfer photos from iPad to SD card quickly. In the following part of the context, we are going to introduce the detailed steps on how to transfer photos from iPad to SD card. Before you export photos from iPad to SD card, you need to transfer photos from iPad to your computer with Leawo iTransfer. Connect iPad to computer with USB and launch Leawo iTransfer on your computer. Click the “iPadmini” and then click “Camera” and all your iPad photos will be available on the right side. Then choose the photos you want to transfer from iPad to computer and right click the mouse. Tap “Transfer to” and then click “My Computer”. 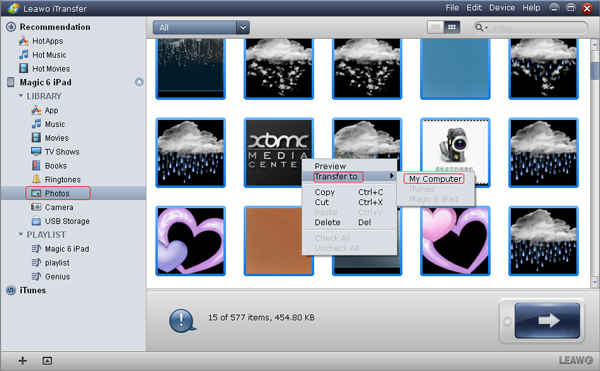 Click “Change” to choose the output folder and then click“Save to folder”icon. Tap“Transfer Now”icon to begin transferring photos from iPad to your computer. 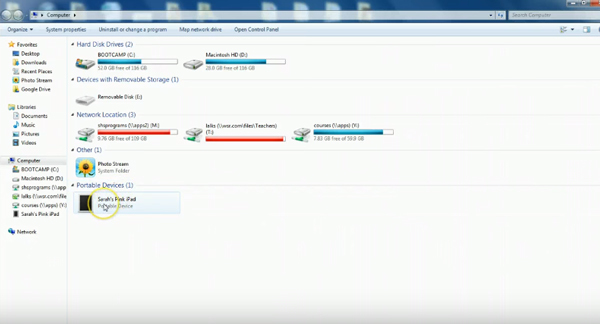 After you have transferred your photos from iPad to your computer with Leawo iTransfer, insert your SD card to your computer with SD card reader and then copy and paste those photos to your SD card.